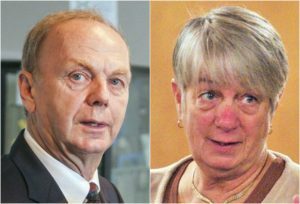 AUGUSTA — As the race for Maine’s next governor shifts from primary contests to the general election, voters will be hearing a lot about Janet Mills, the Democrat, and Shawn Moody, the Republican. But the primary victories by Mills and Moody also mean voters are sure to hear a lot about the outgoing governor – the Republican firebrand who reshaped Maine’s conservative brand and imprinted a combative tone on state politics. “To some extent, some of this is a referendum on Paul LePage’s eight years as governor,” said James Melcher, a political science professor at the University of Maine at Farmington. Melcher said he expects a close contest, especially with two fairly well-known independent candidates, Terry Hayes and Alan Caron, also on the ballot. Victory on Nov. 6 will depend on many of the basic necessities, he said: how Moody and Mills run their respective campaigns, what they say, what they do, who comes to their respective sides and whether their parties unify behind them. But the LePage legacy also will be a factor. Moody and all his rivals in the Republican primary frequently likened themselves to LePage or sought to link themselves to him and his policies. Moody benefited from inheriting a campaign staff from LePage, including daughter Lauren LePage. On the Democratic side, Mills and the other hopefuls vowed to be the opposite of the brash-talking and sometimes explosive LePage. And nobody made the message resonate more than Mills, who for the last six years, as the state’s attorney general, has dogged LePage and been a foil to his conservative agenda. LePage’s public complaints about Mills – he even filed a lawsuit at one point accusing her of abusing her powers – served to raise Mills’ profile statewide, both for the Democrats who loathe LePage and the Republicans who love him. Other themes between Moody and Mills also will play out, including Moody staking out the role of outsider and job creator who brings a “fresh set of eyes” to the business of state government, and Mills’ image of a long-serving public servant, an elected official with a record of achievements and understanding of the inner workings of Augusta. Soon after Mills secured the Democratic Party’s nomination last week, both candidates and parties began crafting their competing narratives. The Maine Democratic Party’s reaction to Moody’s win was equally disparaging. The candidates, too, were quick to frame up their differences. “Voters are not looking for a lifelong politician or a lawyer litigator,” Moody said shortly after Mills won the ranked-choice vote. That “outsider-versus-insider” theme will likely be prominent during the campaign from both candidates. 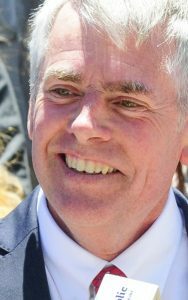 Moody, who will have been a member of the Republican Party for just over a year in November, ran for governor in 2010 as an independent and came in fourth in a five-way race that was won by LePage. Shawn Moody won the Republican nomination without having to go through a ranked-choice tabulation. Since then, he’s lifted his public profile as a businessman by expanding his chain of auto-body shops north from its headquarters in Gorham to Lewiston and Augusta, and as a political figure by serving as LePage’s appointee on both the University of Maine System board of trustees and the Maine Community College System board. While Moody will try to fashion himself as a true outsider, his critics will fairly point out that in many ways Moody has been running unofficially for governor for eight years. “He’s been gathering some connections, but he’s never been elected to anything,” Melcher said. Mainers also will have the chance to elect a woman to the governor’s office for the first time in the candidacy of Mills and Hayes, who now serves as state treasurer. That prospect could play well with some voters, especially on the left, Melcher said. The candidates’ individual styles also are sure to be a factor, and voters will pay attention to how they present themselves and deliver their message. While Moody has vowed to stay on LePage’s course of cutting taxes, reforming welfare and boosting business, his personal demeanor is different. “I don’t think Shawn Moody’s style is going to be as confrontational and produce all the controversial quotes the way governor’s has, but he has pretty much said, ‘I am going to carry on the policies LePage had,’ ” Melcher said. Mills, Melcher said, also has a straight-talking style and is known to rub some the wrong way at times. That both Mills and Moody are natives of Maine means they can’t be painted as being from away, a dynamic seen in other Maine campaigns when one candidate had moved to the state from someplace else. 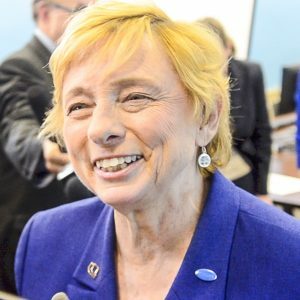 But there could be other geographical advantages or challenges for the candidates given that Moody is from southern Maine and Mills, a Farmington resident, is from a more rural and western part of the state. How the candidates perform in debates – and how many they participate in – could also become a big factor. Mills likely has the edge on policy knowledge thanks to her decades of experience as attorney general, as a state lawmaker and in state politics. But Moody’s experience running a successful business, combined with his folksy style and demeanor, will likely play well with some voters. Alan Caron and Terry Hayes are independent candidates for governor. Meanwhile, the independents – Caron, who is from Freeport, and Hayes, who is from Buckfield – will also be factors, offering choices to unenrolled or nonparty voters, the largest voting block in Maine. Independents are often viewed as more likely to siphon votes from Democrats than from Republicans in Maine, although Caron’s experience in the business sector and Hayes’ track record as state treasurer could shift those dynamics.